I do believe my skin issue's is a condition is brought on by many factors. One nice thing about Shaklee products they come with a 100% money back satisfaction guarantee. 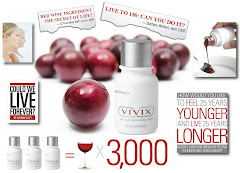 I don't know if Vivix will work for you and your condition, but your really don't have anything to lose to give it a try.